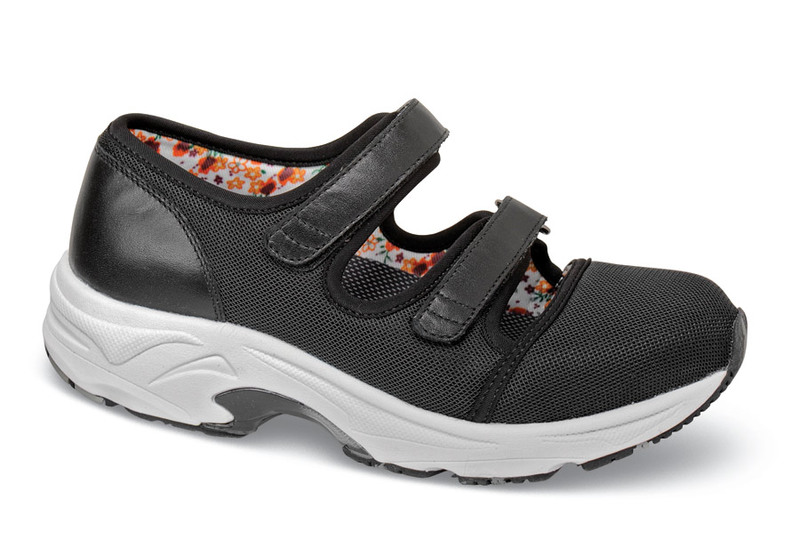 The black “Solo” two VELCRO® strap mesh casual from Drew combines sporty good looks with orthopedic-quality comfort. 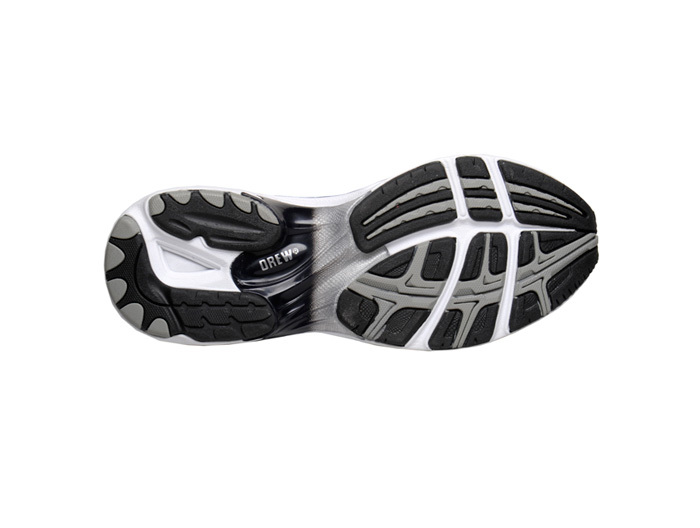 It is built with double added depth with two removable footbeds, a cushion EVA midsole and durable rubber outsole, rocker bottom and dual internal and external shanks. Limited stock in women's sizes 6–13 in 4E width only.